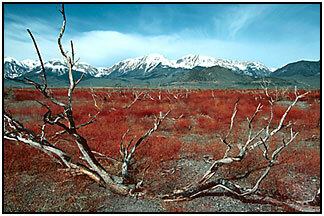 Welcome to the fine-art nature photography of Timothy Edberg. This is Leaning Toward Light Photography. At the heart of this site is the Gallery, a collection of my best images of nature. My photographic interests range from grand landscapes to intimate close-ups, expressed through fine-art prints in both color and black & white. Other topics of interest can be found by following the links to your left. Learn about my scenic nature photography seminars and workshops. You can find out more about me and find out how to place orders for my photographs. You can also keep tabs on my current exhibit, appearance, and teaching schedules and find out about my other photographic services. I am a born teacher and love to keep adding to my photo tips.